When the cook set is fitted together (with the lid on the pot) for travel and storage. It contains room to carry a stove, matches, seasoning, salt, pepper, a sponge and many other things to keep your overall space consumption to a minimum. The handle is foldable and easy for storage, with silicone tube cover to protect your from burning. Lightweight and small size, can save your space to store. 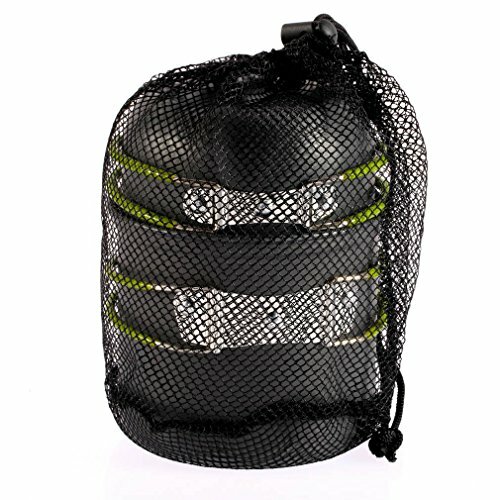 Easy to use and clean, great ideal for picnic, travel,or camping. Pot Size: 12.2cm * 10.5cm, Inch:4.8" * 4.1"
The Lid:11.5cm * 6cm, Inch:4.52" * 2.36"
If you have any questions about this product by Qulable, contact us by completing and submitting the form below. If you are looking for a specif part number, please include it with your message.